The Baby Trend Rocket stroller is super lightweight and fold very compactly for travel and storage. Features include a comfort grip handle and 5 point harness system, a large storage basket and large shade canopy . 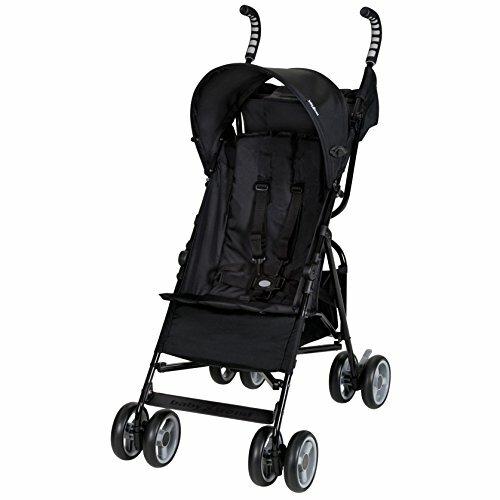 This stroller will keep caregivers happy as well with 2 cup holders and dual foot activated brake. Recommended for children who can sit up unassisted up to 50 lbs and under 40" tall. dimensions:18.31"W x 29.5"L x 40.55"H.